Transforms floors into hard wearing, easily maintained surfaces and provides an exceptionally long wear-life. 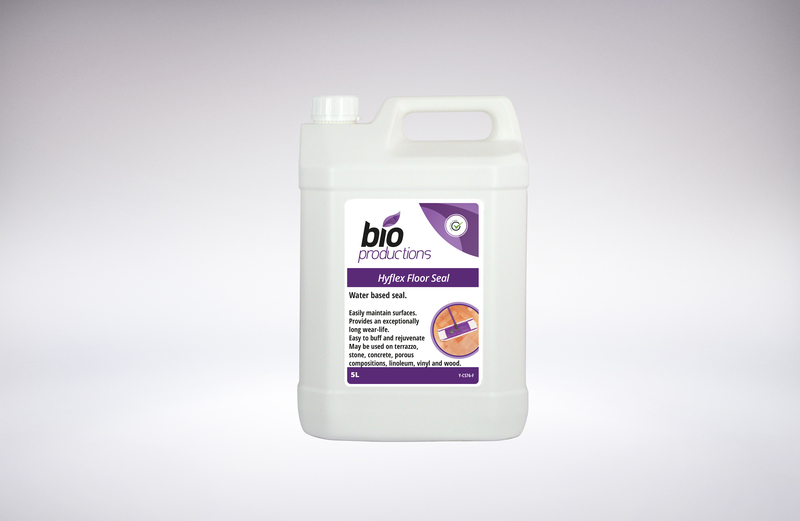 A very tough water based seal, Hyflex requires no further protection, is easy to buff and rejuvenate and may be used on terrazzo, stone, concrete, porous compositions, linoleum, vinyl and wood. A professional product manufactured for professional use. Suitable for use on all types of flooring except Safety Floor & Marble.